Yes you have stated what being a grandmother is so eloquently. Enjoy that little bundle of awesomeness! This is so beautiful I’m weeping. Snap! Me too. I love everything you write Stephanie, but this is the most perfect post ever! I completely agree, so beautiful and poignant. A stunning heirloom blanket for a beautiful, perfect baby. Alls well that ends well. Couldn’t have said it better. He’s perfect and so are your words to him, as well as that amazing blanket. That is just so beautiful. Thank you. Oh Steph, he’s such a wee love. So sweet. Grandchildren are SUCH a gift! You’ll make the bestest Grammy! I have been waiting for this post and the blanket reveal and everything is just as perfect as I expected it to be. Have a wonderful life, little Elliot, you have the best family ever and are supported by all of them and the blog. We love you too! As my grandmother said about my daughter: a piece of perfection in an imperfect world. 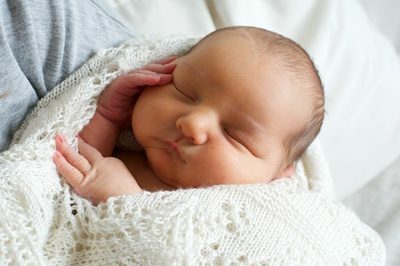 Welcome dear little boy, The Blog is so happy to meet you! Oh Steph, I am a grandmother of 6 and only wish I could have expressed to my grandbabies the overwhelming feeling of love as well as you did. He is SO perfect and smart…you tell by just looking at him. We we say in my family, Mazal-Tov! My your lives be filled with joy, good health and love!! There should be a special word for the love a grandmother feels for her grandchildren. You have written the best description I have ever read. Be still my heart. Beautiful baby boy, exquisite baby blanket, devoted parents, and dedicated Grammy and Grandpa. What more could a little boy ask for? You have, with stitches — and words — so carefully and lovingly wrought, made tangible the ineffable. Blessings to you and yours. Thanks for making me cry two posts in a row, sitting in my office with the door open. In other words, congratulations on this beautiful family you have – all of them. you make me cry Stephanie – the words you craft and the legacy you will leave your Grandson is great. That blanket is, quite simply, a masterpiece — beautifully conceived and executed. I hope the whole family treasures it for many years. Also, the cheeks on that kid? To die for! How I miss big baby cheeks. *passes tissues/hankies, takes one for self* What a beautiful post. Me three. So glad I keep a box of tissue close by. What a wonderful and lucky little boy to be born into such a family of love. You are an amazing grandmother, and I suspect this is just the tip of the iceberg. This is the second time you’ve brought tears to my eyes this week – not an easy thing to do. Just beautiful. How blessed your whole family is by this perfect little boy. May the world be good to him. Can’t wait to see a 4-generation picture! Darn it! You made me cry again!!! What a beautiful tribute (both in words and works) for your grandson to treasure from his Grammy. As beautiful as you always are. Welcome Elliott! Your Grammy is pretty amazing, but then your whole family is awesome. Wait till you meet the Blog. Beautiful everything! Amazingly Beautiful baby, gorgeous, gorgeous, blanket and a really lovely post that this little guy (and his proud parents) will cherish forever. I think it would be neat to have it done in calligraphy, maybe even water color little illustrations and have it framed for his room. Megan and Alex your fabulous son Elliot even outshines Grammy’s incredible blanket. I am sure the Blog all agree. Damn, Stephanie, two posts in a row you leave me in tears. Beautifully written. Stop making us cry! 🙂 The blanket is almost as heartbreakingly beautiful as Elliot. And the family photo – so lovely. Thank you again Meg and Alex for allowing Grammy to share your (and her) joy with us all – we are captivated. Reminds me of one of the most blessed times of my life, when I had care of my grandson while his mother finished medical school and his father learned how to run computers for his company. My daughter’s classmates asked her if I was bored. What a question! Bored taking care of a newborn, watching him grow? I was so blessed. Babies are both a brand new start and a collection of those who came before them. Beautiful love letter to the newest member of the fold. Ditto what everyone else has said and thank you for sharing him with us. Damn, you can write beautifully. The grandparent thing just gets better and better too. Love to you and the family. So much love in such beautiful words. I only wish that every child ever born could hear them and feel the love. Including us big grownup children. You take my breath away. I love this. And I love that Meg and Alex, with their plants and their dogs, are so clearly building their own household with Elliot. It’s beautiful to behold– and probably even lovelier from your vantage point! How beautiful and lovely and wonderful! I can feel the love radiating from those words. Your gifts are many and amazing. I loved this, and your previous post, tremendously. I became a first time grandma a month before you did, and everything you describe is exactly how I feel too. Thanks for putting the words down so beautifully! Sniff Elliott’s head for me, give him a kiss, and tell him wee Olivia and I are waving from Ohio! My god, I loved your writing before, but now that you’re a grandmother, you are utterly brilliant. This post, the one about the birth where you talked about how beautiful your daughter is….your words are astounding. What a lucky family yours is, to have you in it. Another beautiful post to share with my soon to be a mom (making me a soon to be a grandma) daughter. Thank you for being able to put all those feelings into words. It’s hard to put into words how privileged I feel to be able to read these two posts. Your generosity in sharing these intensely personal thoughts is not something often found in today’s world. Elliot is blessed to have been born into such a close family, which is something that doesn’t come to everyone. Thank you Stephanie, your blanket is a work of art, as are your words. A beautiful blanket for and even more beautiful baby boy! Congratulations to all, and thank you for a lovely post. What a lucky perfect little boy to be surrounded by such love, in his blanket and in the heart of his family. Your eloquence in these last two posts is warming many hearts, as they reach for more tissues. I didn’t think you could write anything more beautiful than the previous post, but this one is equally wonderful. You have captured love and everything that is good in this world in these two wonderful essays. Peace and love to you and yours always. Blanket is gorgeous and half as wonderful as Elliot. You are truly a blessed family surrounded by much love and strength. *sniff* and all that, yes, of course. But I find myself wondering — how are you going to explain Us (The Blog) to him? How do Hank and Luis think of us collectively? Wow. Not only did you knit a beautiful and meaningful blanket, you knitted a beautiful poem of love to Elliot with your words. You’re doing it again! Making me cry! At work!! It has been said that we love our children, … but that we fall in love with our grandchildren! How sweet it is! Did I miss the “be sure there’s tissues warning”? You are such a beautiful writer and your grandson is one lucky boy to have you and this in his life. Congratulations! Crying…for the love and loveliness of it all. So very beautiful. I sit today and think of my own babies and how much I miss this time. I hope you and your family are able to enjoy every single day. So wonderfully eloquent and beautiful! I just loved the explanation of the different stitches and borders. That blanket is amazing!! 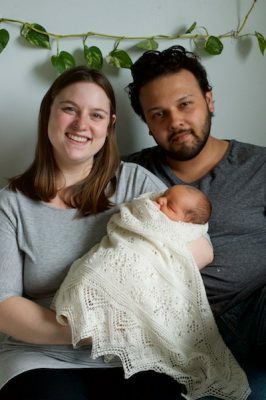 And finding out Elliott is half-Nicaraguan makes me feel a little more connected to this post since I am Nicaraguan too! Elliott is such a lucky boy and he has a wonderful treasure in that blanket you knitted him with love. How touching a tribute. What a lucky baby to be born into such a family. Welcome to the society of Grandmother hood. It’s a wonderful group and I know you will love being a part of it. Your words to him are so eloquent. Words I know he will treasure one day. Congrats to the family on the safe birth of the wee one. We, as the blog, already love him and feel we ( I ) have another grandson. That makes 4 for me! Such wonderful writing – you had me in tears! Bawling. Just bawling. I hope this is how my mom feels about her two grandchildren too – I know she loves them just as fiercely as we all do, but I hope she doesn’t worry about them – only for my own sake. I hope she just sees the beauty, and love, and brightness. I get to touch the world for my key – and welcome to it little one! Yep, here I am again – tears just rolling down my face. That is the most precious baby I think I’ve ever seen!! And he will be so loved…. I’ve never had a child, but if I had, I would have wanted all of you in his/her life! 7 months ago my girl friend told me she was going to be a grandmother. The next day I gave he yarn, needles and a very simple pattern since she can’t read patterns and told her to make a blanket for her soon to be born grandson. She put it off a few times and I finally cast on and sat with her while she learned the pattern. I came to her house when a couple of rows needed to be ripped out. She would text me that she was sitting in an airport knitting. The day of the the baby’s Bris she posted a picture and there was the blanket. Her husband told me that she finished it just hours before the ceremony. She was so proud when she talked to me. I told her that was the feeling that I wanted her to have. You gotta stop making me cry Stephanie. What beautiful writing about such a beautiful boy. Congratulations. That was perfect, Steph. Thank you for sharing it with us. Elliot is so beautiful. I can’t stop admiring his little cheeks! And the blanket, well, it is much more than just a blanket, it is a work of art fit for a little prince. My congratulations to the new mom and dad. Thank you for sharing the joy that is Elliot with us. Your boy is perfect, and he’s also incredibly lucky to have been born into such a wonderful, loving family. I wish him a long and happy life. There truly is an overwhelming love and free feeling to being a grandmother. 🙂 Elliot is absolutely gorgeous, and his heritage shawl is stunning and meaningful. Thank you for sharing both! I hope we see many photos of your grandson and his parents. Lovely family! Hey, little Elliot? All those nupps? That is true, unbridled, devoted, to-the-core love. Congrats, Stephanie. I worried about the timing after Strung Along. I’m so happy you made it to see Meg at her strongest and most beautiful. You give not only spectacular blankets, but such precious gifts with your words as well. What a beautiful post! And the blanket – wow! Penny is a great name for a dog – I have a Penny – a min pin/ jack russell/ terror of a mix that would love Elliot. Enjoy being a grandmother and we will forgive you if you don’t post quite as often. Elliott, if you could please ask your Grammy to stop making me cry at work, that’d be super. Thanks! How beautiful…..the post, the blanket and the baby! My mother recommends biting babies’ fingernails off. Of course, that presupposes that your teeth meet in front, which mine don’t. Enjoy these wonderful grand-baby days, Stephanie—and the blanket is absolutely stunning! I’m Grammy too ❤️ Nothing like it. Congratulations, Elliot is perfect. Lovely. 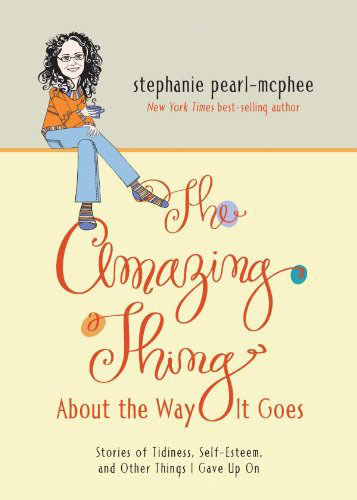 I’m relatively new at this g’parenting thing too, so I am really savoring every word and photo. My hubbo and I are Grammy and Poppy Joe too! Congratulations all around. The blanket is breathtaking! Enjoy, enjoy, enjoy. Just as I predicted, the blanket is beautiful, as is the baby for whom it was knitted. All of this is incredibly precious. Trust you’ve considered framing Meg’s post, and now Elliott’s, for perpetuity. Thank you to Meg and Alex for allowing us a glimpse of such intensely personal blessings and joy. The blanket is truly a masterpiece beyond measure – that pales in comparison to the wonder of this well-loved little boy. Since Rams already commented on the philodendron, all I can add is Amen. Simply beautiful! The baby, the parents, the blanket, and your wonderful essay which says exactly what I feel about my grandson. Oh, Stephanie, you’re breaking my heart. What beautiful words for a beautiful baby boy. Blessings on him, his parents, and his big wonderful family. Baby, glowing parents, blanket…all leave me awestruck. These are such lovely posts. The last photo shows a very, very contented little human face. 🙂 I like the serenity in it. Steph, these last few posts about your perfect grandson and your marvelous daughter have been an absolute delight to read. Thank you so much for sharing these stories with us, you Blog. It’s an honor and a privilege. What a spectacular week for the Blog! Thank you for sharing your family and knitting with so much honesty, love, and emotion. Congratulations to everyone! Best wishes, sweet Elliott! Oops, I misspelled Elliot… So sorry! Such a beautiful baby. Congratulations! Being a parent means buying alphabet, numbers and educational books. Being a grandparent means you buy Walter the farting dog goes on a cruise. That is one of the most beautiful things that I have ever read. You captured being a grandmother wonderfully. As the first of my friends to become a grandmother (and like you I am Grammy), it has been difficult to explain the feeling toward that child, so much like the feeling for my own two children, but also somewhat different. That blanket is a work of art. I love the explanation of the components and envy your ability to make that masterpiece. What a beautiful thing: the blog post, the baby, the blanket. I too had a dog named Penny who was my first and fiercest friend when I was a tiny thing and that’s the part where I got tears in my eyes. The blanket is incredibly beautiful and meaningful-and completely eclipsed by the amazingness of the baby! These two posts are so very, very special. Oh My Lord; you made me cry AGAIN (first time was your previous post). Anyway that is one beautiful beloved little boy. God Bless All. So beautiful! I’m in tears! You have captured grandmotherhood perfectly! Thank you! first, thank you for the tears that came freely as I read. I needed to let them out, and this was a lovely catalyst. Perfect. Elliot and the blanket and your letter. Beautiful tribute and a very beautiful blanket/shawl for this special boy. I’m tearing again…. Oh you’re killing me. The beautiful perfect baby in his beautiful perfect heirloom blanket. The eloquent words, the touching symbolism of the blanket motifs and the all consuming life changing joy and love. I’m in a heap of tears. Bless this wee babe and his Grammy and his whole clan. So eloquently beautiful. Congratulations to the entire family. You nailed it so perfectly, Grammy. That first look at your first grandchild! He is perfect! I had tears as I read about him and his blanket. So much love surrounds him. Such joy in a tiny bundle. Love to all of you. May all that you hope for your grandchild come to pass. May all children be as loved and blessed as yours. You’ve become a grandmother so soon after I’ve lost my mother and my children their grandmother. Reading your posts about the process is very reflective for me. There’s the rememberances of my mom meeting my children. The comparisons, the contrasts, the “oh geez, she won’t do that anymore”. And there is the fond hope I will approach grandmotherhood with half the grace and eloquence you are showing. Elliot is a very, very lucky child. What a lucky little man….love, family, beautiful blanket. Wow and aaawwww…that is one beautiful blanket. The baby? So sweet! So contented looking. Already pretty confident that he is well loved and cared for. Our daughter’s babe, on the other hand, is so comfortable inside that we are still waiting to meet her/ him. I love how newborns exist between here and the world they come from for the first couple of weeks and then unfold and join us. Lovely pics. The baby is beautiful, the blanket is beautiful, and your letter to Elliot is beautiful! And I’m all weepy right now. just lovely – I love my grandson more than anything! You’ll enjoy grandmothering! I am crying – such a beautiful letter! Steph, I have 4 grandchildren ranging from almost 10 to 9 months and I love them deeply, passionately, and viscerally. Here is what I realized when I was rocking my first grandson to sleep after a challenging morning for him and his parents. The difference between grandmothering and mothering is not just the absence of fear but the PRESENCE of time. When I am with my grands there is nowhere else I need to be. Nothing else that needs doing. My mind is focused completely on them. I am not planning dinner, looking forward to when they are asleep so I can shower, fussing over laundry piling up or the myriad of other things that I did when I was a young mum. I am, for that time, simply there with them and they with me. It is a blessed gift and one that I am truly grateful for. I would give them the world. They hold my heart. If you are interested, take a look at Lesley Stahl’s book, “Becoming Grandma.” Wonderful. I must say that Stephanie’s description of how we feel about our kids as being our hearts walking around outside our bodies was spot on. That feeling is also there for our grandkids, without the angst. Oh my goodness. Every post lately has me in tears! What a beautiful moving post to leave for your grandson. I could only imagine how special it will be for him to read this someday. Love! My best friend in the world just moved away to be Grammy to her two. I have felt betrayed. But, now, I think I ‘get’ it. Meg, the best way to trim a newborn’s nails are with your teeth. You will never cut him if you use your teeth. Just make a little bite on one side and then peel it off. What a wonderful love letter. Little Elliot doesn’t know yet what kind of fierce McPhee army is around him, but he will learn. There is nothing like having a grandchild and there is no way to prepare for the first one. If you would kill to protect your children, what would you do for grands? If you would hold and rock your sick children till they slept, what would you do for grands? There is no way to know until you hold the first one in your arms. One suggestion (my grands are 18 and 13, so I’ve learned a bit), don’t stand between Elliot and sadness. Stand beside him, cry with him and help him learn how to heal his heart. He will be stronger and more compassionate for having your example. Enjoy the ride Grammy – it’s a lot of fun! One thought, (my grands are 18 and 13, so I’ve learned a bit), don’t stand between Elliot and sadness. Stand beside him, cry with him and help him learn how to heal his heart. He will be stronger and more compassionate for having your example. After reading this I realized that all the thoughts and feelings, and emotions I have felt seven times now, have finally been expressed. Being a grandmother is the best of all worlds. You get to love beyond measure without the worries that come with parenting. Lovely. It’s nice that you mentioned his father. He is utterly gorgeous and is already smiling. I swear, he’ll have your sense of humor. I attended my friend’s labor and birth of her baby daughter on Easter morning, and I’m still flying high from the experience. Plus, I midwifed four baby goats last week, so birth and babies are on my mind. Yours, of course, is the best dressed so far. Such a handsome little man! Becoming a grandparent is about the best thing in the world. Just you wait, it keeps getting better and better. Mine are 2 & 9; the 9 yr old is getting a little too cool for it, but when he was little and as his little brother still does… the minute they see me and break into the biggest smile, chant “Nana, Nana” and come running in for a hug? There just isn’t much that can beat it. 1.) Elliot, you WILL learn how to knit! 2.) Especially if you grow up to have size 14 feet. 3.) Millie wants you to give that blanket back. She thinks it is hers. As many have already said – that is a beautiful, heartfelt post for your grandson and for all of us who feel so close to you and your family. You make me all weepy. Yay! The blanket is gorgeousness wrapped around perfectness, held by tremendousness, photographed by awesomeness! So grateful that you all are well and good luck for all those first times Meg. The first time my first baby vomited up some breastmilk I was ready to rush to emergency by ambulance! Lucky it was just an overfill tummy and a phone call to a mum sorted us out. No fever or othersymptoms so we went back to sleep all was well but everything felt like life or death.we even slept in the room least likely to be hit by falling aeroplanes or cars running off the road. Crazy times! Dear Grammy- this beautiful post could be made into a story book- illustrated with excerpts. I would read it to my babies to explain the awe of a Grammy’s love.You touch us with your gifts. Congratulations to you and your family! Your grandson is adorable (his cheeks!) and the blanket you created for him is so very beautiful. Thank you for expressing so beautifully and precisely what has been in my heart since my first grandson Adam was born last November. I showed you a photo of him at the registration table at Madrona and you graciously and generously commented on his great beauty while possibly thinking, I’ve got too much to do to be doing this. And now you truly understand why I showed you, and how I felt. Love your ability to put emotions into words. Thanks again. So incredibly beautiful… Elliott, the blanket, your words… you have me in tears! Elliott is a blessed baby to already be loved so much! Perfectly said. He seems to be just as perfect as my own grandchildren. Aren’t we lucky? That post is so beautiful, it made me cry. I think we’re seeing another birth, of one excellent Grammy. Congratulations again to the whole family, looks like you have a spectacular new addition to your wonderful family. Thank you for sharing him with us. Meg, you do nice work, he gorgeous. Now I’m sitting on my back porch crying because you’ve captured so beautifully what being a grandparent is like. That grandchild of yours is looking fit and content in his wonderful blanket. Oh, those cheeks! And his wee chin! Such a sweet little face. What a tenderly written, lovingly voiced adoration and love for this tiny new member of your family. I have felt those emotions and had some of the same thoughts with my own grandchildren (and great-grandchildren), but could never put that in words as you have so eloquently (sp?) done. Congrats on becoming a Grand-mother! You will be spectacular loving that little one! A perfect baby blanket for a perfectly lovely and perfect Grand-child. Love to your, now larger, family. Elliot is so beautiful, thank you for sharing his picture with The Blog. A few tears may have mingled with my coffee while reading your lovely post and thank you for the privilege of sharing your joy. Does your heart suddenly feel too big for the rest of your body? I imagine it would with all that baby sweetness. Simply beautiful. Both baby and post. Blanket is as perfect as Elliot. WHERE DID ALL THESE ONIONS COME FROM?! Stephanie, both this post and your previous one are beautiful love letters to pieces of your heart. Congratulations to your whole family on this new joy. Congratulations! It is a powerfully beautiful baby to distract from that stunner of a blanket, but he does. Beautiful blanket, Steph. And grandchildren only get more fun as we get older. My grandgirls are 8 and 5 now. They’re my joy… And so much fun…. Well My God I am going to have to stop reading Yarn Harlot at work – not that I’m not an even more ardent fan (and far away friend, so to speak) – but that the workplace is no place to do what I was just doing – hmmm, I would call that weeping – yup – I was weeping. Lay bare the best of all our souls, Stephanie, and there you are. Geez – my heart beats very hard and happily to be able to share this with you. I thank you, your family thanks you, and all of us thank you even more. It isn’t everyday one comes across a soul as wonderful as yours – and the links you forge with all of us by sharing. I only hope I honour you enough in my day to day. Ok, done weeping, nose blown, heart enlarged by your love for yours; in return I promise to show all of mine more love, passion and humanity. (Except for the housekeeping, that could get out of control if I don’t stay on top of it 🙂 ). Many Thanks, you show me such marvelous things, and you display humanity that is the best of all of us. Lovely – both Elliot and the blanket. Just lovely. What a lovely baby, and a lovely letter. You’re touching immensity. You’re preparing me for the same amazing raft of emotions coming pretty soon — my son and his wife are expecting in November — and I already feel that I can touch the stars. And for the second post in a row, the tears are rolling down my cheeks. You have a way with words and a way with love. Elliot is a lucky wee man. Megan a lucky daughter and mum. Perfect thoughts about an absolutely perfect child. Everything is just beautiful, baby & blanket, parents, 3 maternal grandparents, extended family, aunties and even little Penny. I need to mention beautiful blanket again. You’re killing me with waterworks, McPhee. 🙂 You’re such a lovely writer and it’s a pleasure to see your joy for Elliot and Meg and your gorgeous work of love for them. Thanks, as always, for sharing. Could you please stop making me cry everytime I read your blog 🙂 At least the last entries brought tears to my eyes, you have a wonderful gift with words, although I do cherish your blog always the postings about the birth and your grandson touched me deep. Also I am nearly your age they make me feel old, even if my youngest is two, it reminds me I could be a grandmother too, All my best wishes to the family again! There’s so much here I could speak to and that I feel for, but all I can say is Thank you, for sharing your love for Elliot, your beautiful words, your gift and your magic. Thank you. Beautiful blog, beautiful blanket, beautiful baby. I’m so full of joy for you and your family. A beautiful post, and a spectacular blanket are not surprizing, but I still felt the need to comment. Congratulations, love and best wishes! Beautiful! And the baby too!! Frame that immediately! Like your grandson it is just perfect! What a stunningly beautiful post for him to be able to read as an adult, and know how loved he is. Also, you should be teaching master classes in blanket knitting, because I know many of us would kill to have that skill! Next book maybe? Seriously. Any amount of money. You name it, we’ll pay it. And The Blog welcomes you, too. Damn, woman – two posts in a row so beautifully written, so perfectly expressive and so profoundly, deeply loving that they brought me to tears. Much joy and few tears to wee Elliott and his entire family, many blessings and love surround you from your blog. Thank you (again and again) for sharing your life and love with us. A lovely tribute to both grandmotherdom and the beautiful heirloom you have created for him. I am also trying to balance work commitments and being at the birth of my granddaughter who is due to arrive in a couple of weeks, scared I might be caught in the two weeks early web that shook your Dallas world. and maybe one of these days I’ll start something spectacular for her for posterity, though I’m sure you will continue to hold the world record for spectacular-ity forever with that gorgeous blanket. Beautifully written from the heart, as always. Oh those precious chunky cheeks! Kiss them for me! Wonderful to read about Elliot’s gorgeous blanket (the different borders, and the reason for each section’s design): a perfect gift for a perfect wee gift! Another post that needs to come with a “tissue warning”! I love that your family is “hard to break into”. What a gift. That is one of the most beautiful posts I have every read, Ms. McPhee. Congratulations on the birth of your grandson, and kudos for being able to transmit, so clearly and elegantly, the love you and your family have for him! The blanket is truly beautiful. As much as I adore seeing them all laid out and flat, they truly look best when wrapped around one who is loved. Congratulations to everyone concerned. And welcome to Elliot. He is such a beautiful, beautiful baby! And I know about these things because I had two beautiful babies, too. He is going to bring so much joy to each of your lives! I’m glad he and Megan both came through with flying colors. And that baby blanket is the absolute bomb! Congratulations to everyone, the aunties, too! I’m sure they’re about to bust their buttons, too. Absolutely beautiful – Baby, words and blanket!!!! A truly lovely blanket story for your grandson . . . made me cry . .. I tried to keep reading, but when I read that he waa named for Tupper I started crying. Beautiful words, beautiful baby, beautiful blanket. I am in awe of all three. So beautifully written! Congratulations on your new grandson. He is wonderful and perfect. The blanket is amazing, too! He is lucky to be so loved. A beautiful blanket for a beautiful baby … two masterpieces there, and a masterpiece of a blog post! 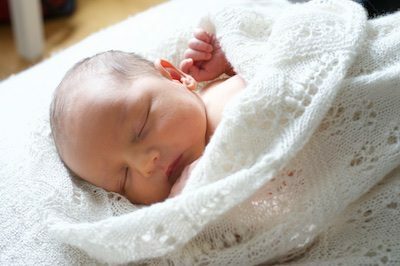 A beautiful baby, a beautiful blanket and a beautiful post, Becoming a grandmother was the most wonderful surprise to me, I thought I would be quite fond of them, like a pet, but was overwhelmed by the feelings. Love from a bit of the blog! Beautiful, beautiful blanket for a beautiful, beautiful boy. You summed up perfectly what it’s like to be a grandma. I feel the same way about my grandsons – so much joy, so much more relaxing than being a mom. He is beautiful, the blanket is beautiful, and so is your writing. This post has made my eyes a teensy bit moist. Such lovely pictures! Elliot has the sweetest looking cheeks, I would be kissing them constantly. I love how the baby blanket turned out, it’s beautiful and so cozy looking. His eyebrows are amazing but I particularly like his jowls, I suspect they and ones like them are what cause the pinching of cheeks by elderly relatives. Scrumptious. Such a loving and beautiful tribute to your glorious grandson. He is wrapped up in a blanket of such thoughtfulness, I am moved to tears. This has brought me to tears, Steph. So wonderful. Congratulations to you all on the birth of your precious grandson, Elliot, he is a true gift from God! The blanket is just beautiful and such a wonderful family heirloom. I’m sure Elliot will truly appreciate the family background as he gets older. Blessings to you all. I’m the proud ‘Nana’ of two handsome grandsons, now 7 and 3! You have truly summed up the true meaning and feelings of becoming a grandparent. Thank you! God bless you all. Oh, my. Congratulations! I’ve not been following blogs as much, but Lucy posted it on Facebook and I’m so glad I saw it. You’re a grandma now! He’s beautiful. Dammit. I have to get my computer fixed. The radiation from the screen is making my eyes leak something fierce. Congratulations on arriving into a wonderful family, young man. Whatever you do as you grow up, I have only one piece of advice — don’t become allergic to wool. My mum is a Grammy, too! Enjoy every moment! Congratulations from one Grammy to another, Stephanie… a beautiful boy and a lovely blanket! He is absolutely wonderful and those cheeks are to die for. Simply perfect — all of it, in every way possible. Wow, I feel fortunate to have stumbled on to your blog. I am not a knitter but I became a grandmother on March 7th. It is an amazing feeling and your recent collection of posts describe it to a T. You have a gift for the written word. I love this and the previous two posts. 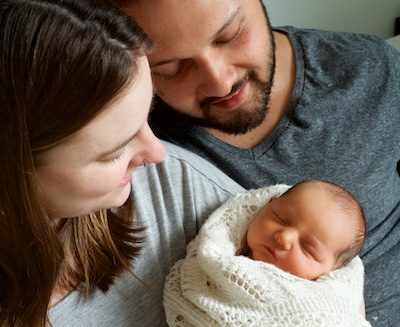 Perfection!– Elliot, your words, the blanket, and the love that surrounds the growing family. Dear Stephanie & Family – Your joy is our joy! Enjoy every single moment of Elliot’s days (and nights). The blanket is beautiful, and these posts are truly touched with grace. Thank you for sharing this wonderful event with us. Beautiful! He will cherish the words and the blanket in years to come. I love all the symbolism in the blanket design and the meaning of the magnitude of it. Again, many blessings to Elliot and your family with this new addition! We can’t wait to watch him grow too! Show us lots of pics, because we can’t get enough of them either! Aww heck. I’m not a crier, yet here I am with tears in my eyes. Such a beautiful post. And the way you explained the difference between being a mother and a grandmother was perfect. What a lucky (and perfect!!) boy he is to be a part of your family. What a beautiful little baby, and so fortunate to have been born into such a loving family. Oh my heavens, the cheeks! He’s beautiful! Baby powder under the fingernails – that way you can see what you are cutting. Failsafe method taught in the maternity hospital where I had my first daughter 46 years ago. Your grandson is gorgeous and the beautiful shawl is absolutely perfect. Thank you for sharing. For the pictures of your beautiful grandson and his parents. And the blanket as well. Blessings to you all. We bloggers are there for each other during sad and difficult times, we come together. Wonderful now to have such a celebration of life, baby and blanket are both perfect and so full of love. Well done Grandma. That last paragraph…whew. Would that we all came into the world and were given such a shield, a written, verbalized statement of the love your family has for you. It’s not often I read something that just makes me want to sink to my knees in amazement and awe, but that last paragraph…I’ll never forget it. Thanks for putting it into words for Elliot, and for the rest of us! I thought your post about Elliot’s birth was the most touching thing I’d ever read….. now this! More tears…. thanks, again, for sharing! Since Elliot’s arrival, I’ve had to find a time and place to read your blog when I’m alone, and won’t be observed, because each post makes me cry. You are such a powerful writer. I’m a grandmother over 70, and I love how you’re captured things about this experience that haven’t been said, mostly about how feelings for your grandchild are different from your feelings for your own child, his mother. Those children we have ourselves are never displaced, just added onto. Thanks for sharing, thanks for writing, thanks for blogging. . I am not yet a grandmother, but disabled, and have always been afraid of all I will not be able to do! So beautiful: Baby, blanket & words. Got to go get tissue to wipe eyes now. Oh, that is all just so beautiful. The description of the blanket is absolutely amazing and it is just so wonderful. Thank you for sharing it with us! How do you do it? How do you manage to express yourself so beautifully? How do you manage to knit so beautifully? Thank you for sharing it all with us. Much joy and good health to Elliot and the rest of your family! He’s gorgeous! Have to get control of myself. You express exactly what it is like to become the grand. Lots and lots of fun, hopes and dreams and not so much of the worry. I have 2 grands and today is the day my family is celebrating my youngest grand’s 10 birthday. I find that they went by is a slow blink. Adorable baby. Looks like his dad! Such a gorgeous baby boy 🙂 And the lace blanket turned out lovely. I was often told prior to my own children that I would learn there is an even greater love when you are gifted with a child, I am so happy to report that was true, my capacity to love increased with each of my sons and it is pure love, love no matter what! I see through your love letter that I have more joy and love to come. Your words are a harbinger of joy to those fortunate to anticipate a new life. Imprint this joy on your heart for a day that you may need to be cheered up, it works every time! Congratulations to you and all the family. What a beautiful baby and love letter. Enjoy these very special days. What a beautiful baby, blanket, pictures, post, everything! So articulately and beautifully put! Congratulations to you all. THOSE CHEEKS. I cannot even. That was beautiful!! You made me cry. Though I have had those same thoughts about my grandchildren, you said it like I never could have. Kudos Grammy! He is a very lucky little man. Beautiful, all the way around beautiful. I had to wait a while after reading this to stop crying. It was so beautiful. 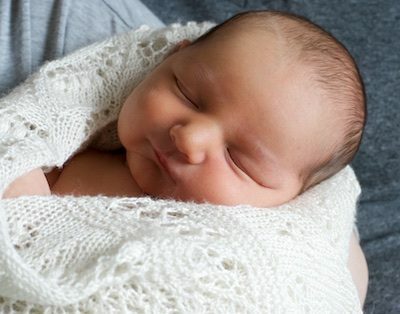 Thank you for sharing, not just the knitting journey of that amazing blanket, but also the beginning of THIS journey with your new bundle of grand-baby love. My s/o asked why I was crying reading your blog, instead of chuckling like I ususally do. He’s not a parent; I don’t know that he’ll ever understand, no matter how many times I try to tell him, but he wishes you and your family well too. I keep coming back to look at his little cheeks, his cheeks are making me die! Ah, Steph, how lovely. I also have a new grandson, born at home in December in the USA. I got to hold the flashlight. Beautifully stated, Stephanie. As a grandmother, I felt every word. It brought tears to my eyes. I ‘m afraid I have not been following you much. I forget to look for your posts. Wish there was a way to get them sent to my Email! Congrats, he’s beautiful and I’m sure yr getting lots of baby time in. But actually, I mainly came to see if you knew that Prince’s house in Toronto is for sale. You are so right in saying he is beautiful. Being a grandmother is such a gift and privilege. Our beautiful Lilly is 6, and we have become a huge part of her life…we get to send her off into school in the morning, as well as watching her step down from the school bus. Our son is a truck driver and her mom went back to work this year. Yes, you are permitted to simply stare and marvel at your new grandson. Being grandma is the best! The best you’ve ever written…..and such a beautiful baby. Your words express what is in my heart so perfectly. I don’t have daughters to share the birth experience with but I am a fierce lover and protector of my 3 grands! Congratulations and welcome to the club! It is the best! Welcome to the best group ever! Being a grandparent is wonderful. I have always said that my grandchildren have me heart and soul. Seeing my child hold their child is overwhelmingly emotional every time. I am blessed with five beautiful grandchildren. So beautiful!! The words, the shawl but mostly the baby! Congrats Grammy. I didn’t think I could cry more than I did at your prior post! So beautiful. Welcome Elliot. Welcome to the Sisterhood, Grandma! Now to the question I haven’t read here yet – pattern for that amazing blanket? In the works? 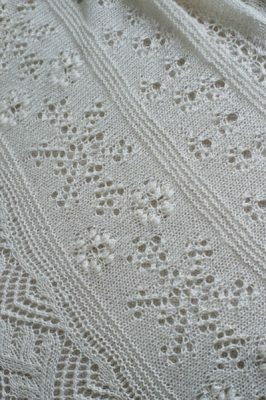 Or even, what pattern did you use for the final edging? Or the ring border? 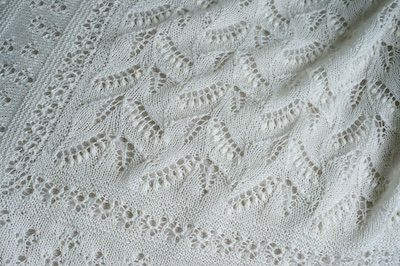 Yes, there certainly are a lot of rows when you knit a border or edging side to side around the edges of a center piece. And you have to keep turning….or learn to knit backwards. It’s a great motivator, lol. So beautiful, the baby and the blanket. I can’t find the post, did you tell us what yarn you used for it? Thanks. Congratulations, what a beautiful baby and family. I am 33 and terrified to become a mother because it can be such a tough world. You and your family gives me hope that love is really all you need. Congratulations! And I am in tears because no one can explain what it feels like to be a grandmother. They think you are CRAZY!…until they are and then they get it. So glad you got it! (seriously I can’t stop crying. Hope everything is spelled right cause I can’t see!) May your family be blessed beyond measure! An adorable and precious baby boy! This post is absolutely beautiful! As a grandmother, I echo your sentiments. Nothing twists the heart like a grandchild. Also, the blanket is wonderful! I enjoyed the story behind each section. Hugs and love to you, your family, and this little bundle! I just found your blog after years of knitting. Apologies for taking so long. My son was born two years (almost) to the day before your grandson. It’s a beautiful thing watching a mom turn into a grandmother. Apologies for my late congratulations. My own grandmother passed away just two week before my son was born. That mix- the young and the old, the new and the gone, the joy and sorrow and all the love and tears… it’s big. Apologies for my late condolences on the loss of your mother. And love to you. I don’t know you. But I do. And, as I keep pressing the “older posts” button, I remember the power and the point of keeping a blog. Rock on.